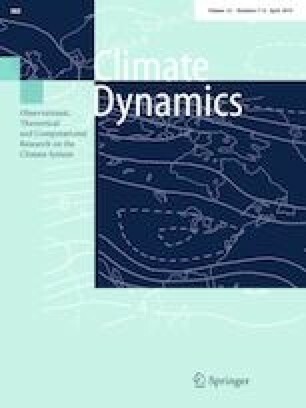 Using nine model simulations from the PMIP3, we study simulated mean Indian summer (June–September) climate and its variability during the Last Millennium (LM; CE0850-1849) with emphasis on the Medieval Warm Period (MWP; CE1000-1199) and Little Ice Age (LIA; CE1550-1749), after validation of the simulated ‘current day (CE1850-2005)’ climate and trends. We find that the simulated above (below) mean-LM summer temperatures during the MWP (LIA) are associated with relatively higher (lower) moisture, and relatively higher (lower) number of concurrent El Niños (La Niñas). Importantly, the models simulate higher (lower) Indian summer monsoon rainfall (ISMR) during the MWP (LIA) compared to the LM-mean, notwithstanding a strong simulated negative correlation between NINO3.4 index and the area-averaged ISMR. Interestingly, the percentage of the simulated strong El Niños (La Niñas) associated with negative (positive) ISMR anomalies is higher (lower) in the LIA (MWP). This nonlinearity is explained by the simulated background climate changes, as follows. Distribution of simulated anomalous 850 hPa boreal summer velocity potential during MWP in models indicates, relative to the mean LM conditions, a zone of anomalous convergence in the central tropical Pacific flanked by two zones of divergence, i.e. a westward shift in the Walker circulation. The anomalous divergence centre in the west during the MWP also extends into the equatorial eastern Indian Ocean, triggering in an anomalous convergence zone over India and relatively higher moisture transport therein and therefore excess rainfall during the MWP as compared to the LM-mean, and hence an apparent weakening in the El Niño impact. Rengaswamy Ramesh: passed away on 2 April 2018. The online version of this article ( https://doi.org/10.1007/s00382-019-04718-z) contains supplementary material, which is available to authorized users. KA, SC, and CTT thank the contribution of Prof. Rengaswamy Ramesh, their co-author who sadly passed away on 2 April 2018. We thank Dr. Johann H. Jungclaus, the Max Planck Institute for Meteorology (MPI-M) Hamburg for sharing the model outputs. Constructive comments from two anonymous reviewers helped to improve the manuscript. The GrADS, Ferret, and NCL graphics tools, and the CDO statistical software have been used in this study. KA and SC acknowledge the Climate Change programme (SPLICE) of the Department of Science and Technology, Government of India, for grant No. DST/CCP/NCM/76/2017(G) for this research. CTT acknowledges a PhD fellowship grant from the UGC, Govt. of India to carry out this work.